Israelis love books. I have heard that more books are published per capita in Israel than anywhere else in the world. There are bookstores EVERYWHERE. Jerusalem’s Central Bus Station, instead of pedaling knock-off handbags, has tables and tables of discounted books, as well as an actual bookstore. Used bookstores dot the downtown streets, selling books in many languages. A café downtown is named after a work of literature by Shay Agnon and is filled to the ceiling with books. The other day I decided to pay a visit the Beit Vegan library which was a disorienting experience in itself. I wandered around Hertzl Street peering into residential buildings’ courtyards for some time. After giving up looking, I stumbled on the library by chance while trying to take a shortcut to the Beit Kerem shopping center. The library is located within the neighborhood’s community center and once inside the mysterious big building, I stumbled again on the library by chance. In a country with so much security—getting into Jerusalem Central Bus Station requires a body scan and a bag scan—I was surprised that no one seemed curious about a random girl with a backpack wandering around. And so at age 24, a Smith College graduate with a degree in Comparative Literature and Italian Language & Literature, I find myself scanning the selection of children’s books, even putting some books down because they seem too intimidating. Learning Hebrew has been a humbling process. I do feel like I am getting better; people finally respond to me in Hebrew, I am able to bargain with vendors and taxi drivers and I speak exclusively in Hebrew with one of my roommates. But still, I have a long way to go. And nowhere is this clearer than when I am reduced to reading books written for the same age level as the kids I babysit (incidentally, they approve of my choices). Choosing a children’s book was in itself a challenge. I have the reading level of an elementary schooler, but have more sophisticated tastes than that. Even when I started reading Italian, I was able to jump into young adult literature (and no one does teen romance novels better than the Italians). Here, if there aren’t nikudot (vowel points), I struggle. And many children’s books don’t even have those. Israeli kids must like book series because the children’s section was full of them. 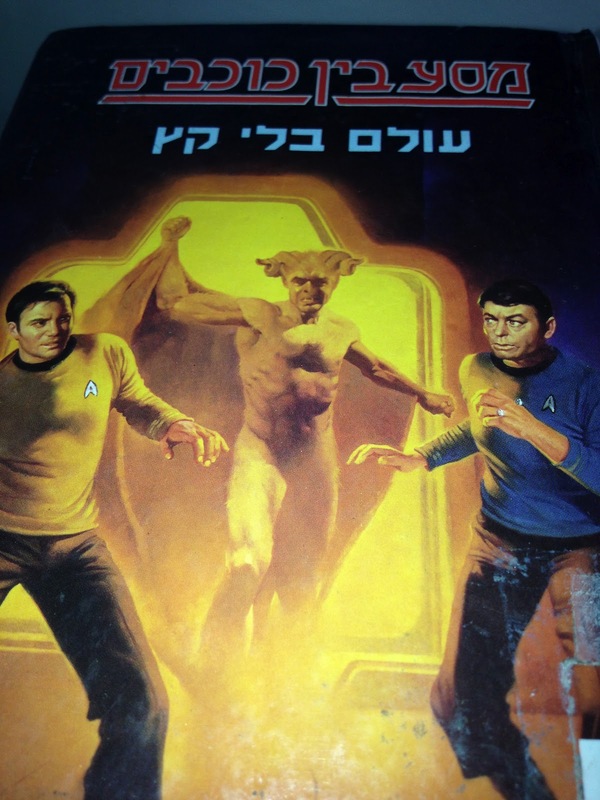 There was a Star Wars series, which was tempting, a series about a boy explorer that looked very old skool and a series called “Ezeh Pakhad” which roughly translates to “That’s Scary!” or “What fear!” The “Ezeh Pakhad” book I read was about an 8 year old boy who hears about a monster that lives in the Kenneret. When his family decides to vacation in the Kenneret, the narrator’s neurosis are exposed. I really couldn’t help but think about Woody Allen. They say the sabra is strong, not like his wimpy American counterpart, but now I am not so sure. After reading about an 8 year old’s fears for an hour, I went to the Beit Kerem shopping center to pick up my dry cleaning. I passed a Stiemansky’s, an Israeli bookstore chain. They were having a promotion of four books for NIS100, I think in honor of Israel Book Week. Unlike in America, and surprising giving Israel’s sometimes-gruff customer service, employees are really helpful in bookstores in Israel. I explained to them that I am a new oleh (immigrant), aged 24 but with a low level of reading, and am going crazy reading children’s books. They suggested Etgar Keret, and Caster Bloom who I have never heard of. I was shown a beautiful collection of Keret’s short stories—shinny Tiffany’s blue cover, nice paper, not too long, but without nikudot. NIS79. As much as I don’t want to spend the money, books are a sentimental thing for me. I still have the first real books I read in Italian and Spanish, and have taken the book that I translated for my final project in Italian Translation with me, across the ocean, to Israel. 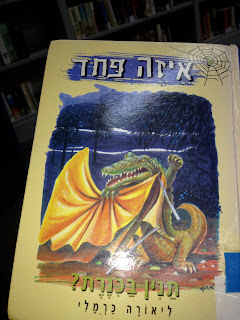 I would love to have the first adult book I will read in Hebrew displayed proudly in my bomb shelter room, resting next to classics as Open Heart, The Forsythe Saga, a commentary on the book of Shmuel, and of course Dod Arieh (Uncle Arieh), winner of the Israel Prize Award in Children’s Literature.